Israeli occupation courts in November sentenced dozens of of Palestinian minors to arbitrary prison-terms. According to the Commission of Prisoners and Ex-Prisoners, several Palestinian minors held in the Ofer lock up received prison sentences and steep fines. 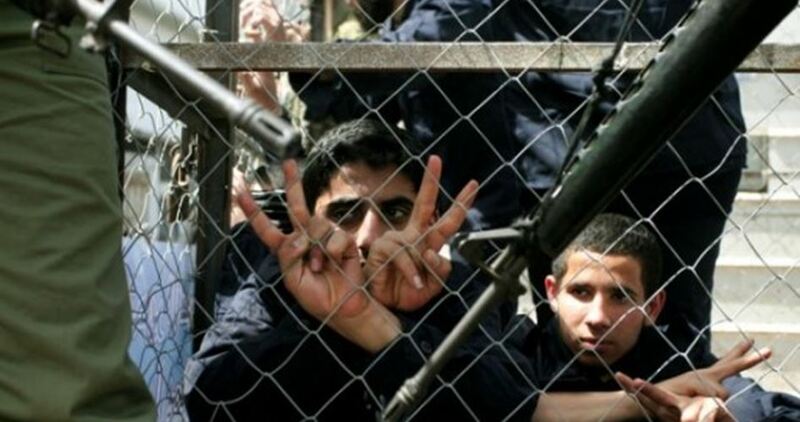 The commission said that in January, Israeli occupation forces arrested 57 children and transferred them to Ofer jail. The list includes 39 children who were kidnapped from their homes. One child was shot by Israeli bullet fire before he was arrested. 17 minors were subjected to heavy beating and torture. Several children were sentenced for prison terms of up to two years. 17-year-old Leyth Abu Khurma received an administrative sentence, issued with neither charge nor trial. Some 123 Palestinian children are held in the Israeli Ofer prison, where they have been enduring abject conditions of captivity and subjected to psycho-physical torture around the clock. 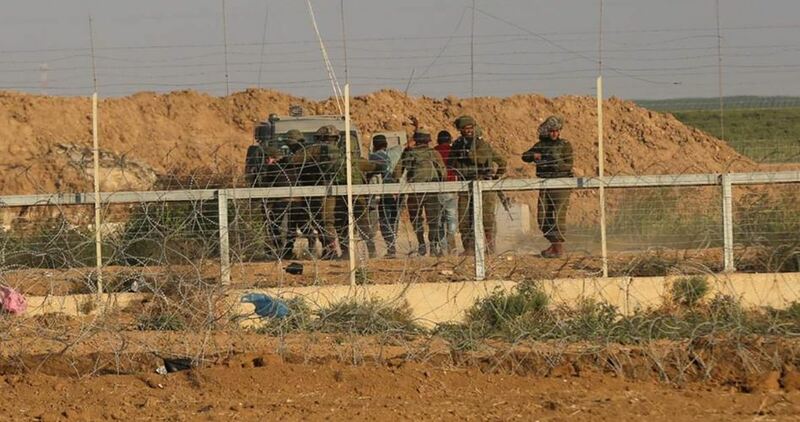 The Israeli Occupation Forces (IOF) arrested on Thursday evening two Palestinians near the border fence in the northern Gaza Strip. 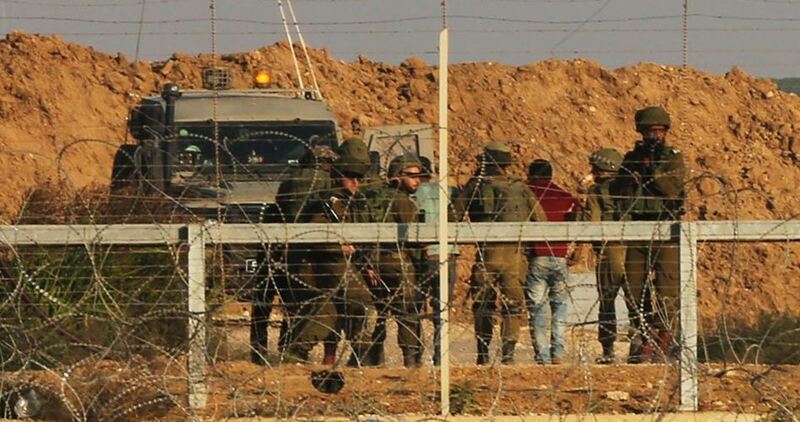 Israeli media sources claimed that the two detainees were trying to cross into Israel when IOF soldiers, stationed at the border fence, opened fire at them. No casualties were reported during the incident. The suspects were transferred for further questioning, the sources added. 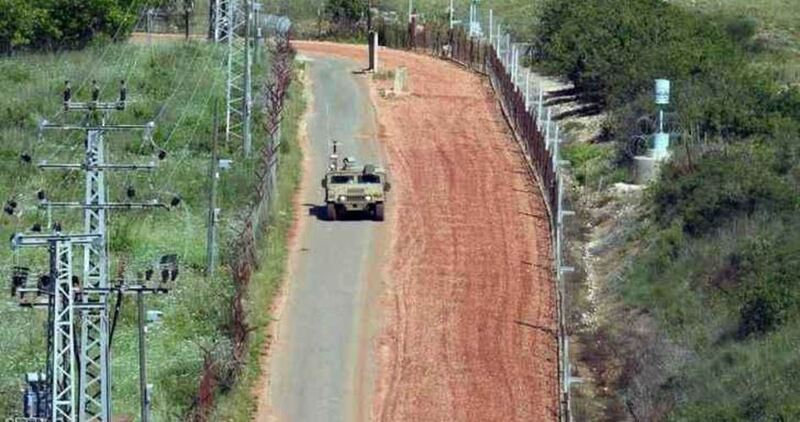 The Israeli army arrested a Lebanese national on Wednesday evening for illegally crossing the border between Palestinian territories occupied in 1948 and Lebanon. “The army arrested the suspect for infiltrating Israel from Lebanon," Israeli army spokesman Avichai Adraee said in a statement quoted by Anadolu News Agency. The Lebanese citizen whose name was not given was arrested as he attempted to creep into Israeli-occupied territories. The Lebanese national's reason for crossing the border remains unclear. In recent months, the Israeli army has waged a wide-ranging campaign along the Lebanese border with aim of uncovering alleged tunnels believed to have been dug by Lebanon’s Hezbollah group. Two members of the International Solidarity Movement (ISM) were detained by Israeli soldiers on Thursday near an elementary school students in the southern occupied West Bank city of al-Khalil. 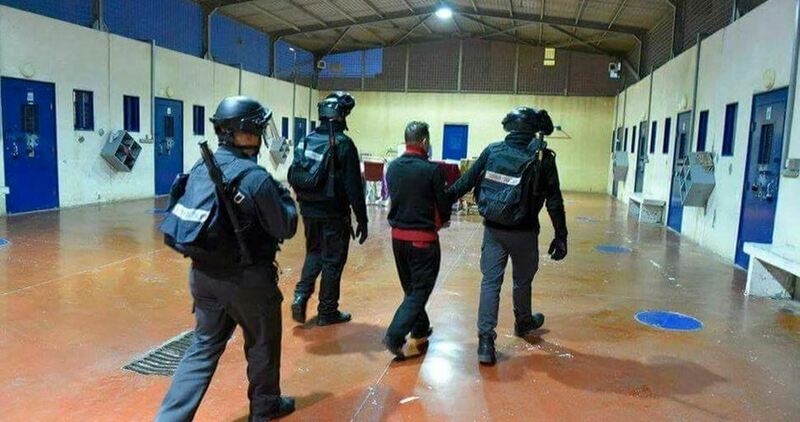 Member of Human Rights Defenders Imad Abu Shamsieh said Israeli forces detained two international activists, one American and the other Italian, while they were near Qurtoba Elementary School, located near the illegal Beit Hadasa Jewish settlement. The activists were arrested while overseeing the Palestinian students as they leave their school to make sure no harm will be done to them from the Israeli army or settlers. The two ISM members were doing the work that was done in the past by members of the international civilian monitoring force, the Temporary International Presence in Hebron (TIPH), which was forced out of the city last week by the Israeli occupation authorities. The Israeli Occupation Forces (IOF) kidnapped Thursday afternoon two Palestinian youths at a make-shift checkpoint south of the northern West Bank city of Jenin. Locals told PIC reporter that two unidentified youths were arrested after Israeli forces stopped and searched their vehicle at the checkpoint. 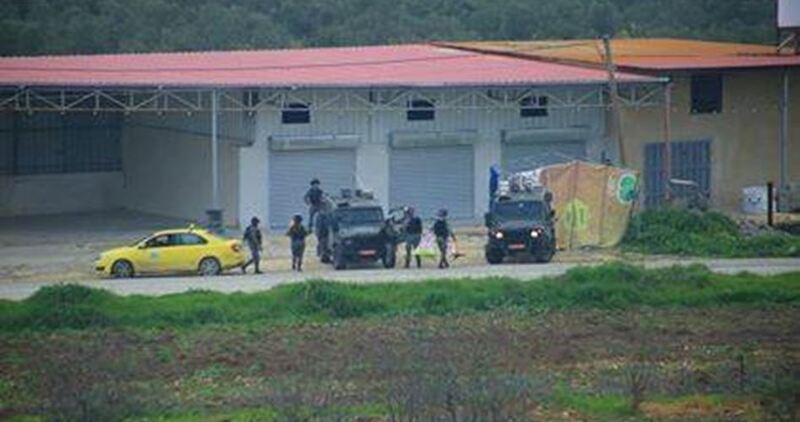 The detainees were immediately taken in an Israeli jeep, while their car was confiscated, the sources added. A second military checkpoint was set up at the entrance to the nearby town of Taanak. Several Palestinians were also stopped and investigated at the scene. Israeli police arrested Thursday evening six Palestinians in Araqib, an unrecognized Bedouin village in the Negev desert in southern Israel. Local activist Salim al-Aribib reported that Israeli forces rounded up six youths after demolishing the village for the 139th time earlier today. The six detainees are the sons of Sheikh Sayah al-Turi who is serving a 10-month term in Ramla prison for "unlawfully entering into a state land." 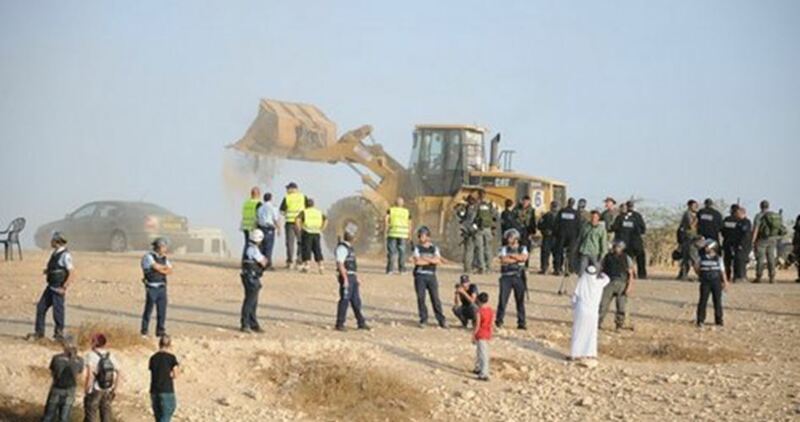 Araqib village was demolished multiple times in attempts to force its Bedouin population to relocate to government-zoned townships. Like the 34 other Bedouin villages "unrecognized" by Israel, Araqib does not receive any services from the Israeli government and is regularly subjected to the threats of expulsion and home demolition. 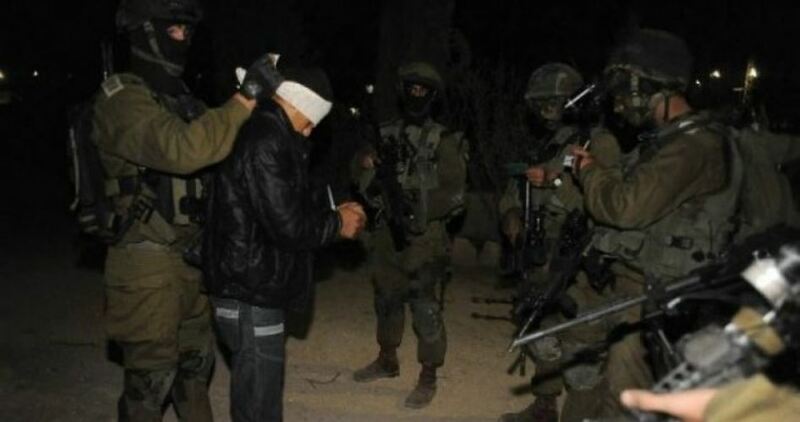 A number of Palestinians were kidnapped by the Israeli occupation forces (IOF) at daybreak Thursday from the West Bank. The Israeli military claimed eight Palestinians were arrested over allegations of involvement in anti-occupation activities. A number of Palestinian young men were kidnapped by Israeli soldiers from Ramallah shortly after heavily armed patrols rolled into the area and wreaked havoc on civilian homes. Two brothers were also kidnapped by the IOF from the Fawar refugee camp, south of al-Khalil. Another young man was kidnapped from Dura town. Overnight, Palestinian citzen Emad Abu Samra was kidnapped by the IOF from Yatta and had his car seized. A Palestinian child fainted after Israeli patrols stormed southern Nablus and showered residential neighborhoods with teargas canisters. 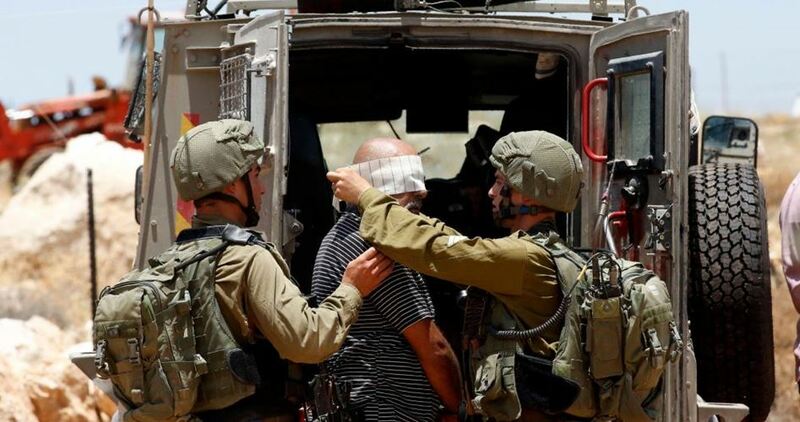 Israeli soldiers abducted, earlier Thursday, six Palestinians from their homes, in several parts of the occupied West Bank, the Palestinian Prisoners’ Society (PPS) has reported. The PPS stated that the soldiers conducted violent searches of homes, and interrogation many Palestinians while inspecting their ID cards. It added that the soldiers abducted Tareq al-Eqeili, Mohammad Abu Salem and Ahmad Abu Saleh, from Hebron governorate, in southern West Bank. He soldiers also abducted Mohammad Adnan ‘Aabed and Salem Mahmoud Mahameed, from their homes in Jenin governorate, in northern West Bank. In Ramallah, in central West Bank, the soldiers abducted one Palestinians, identified as Adham Kamel al-Awadi. 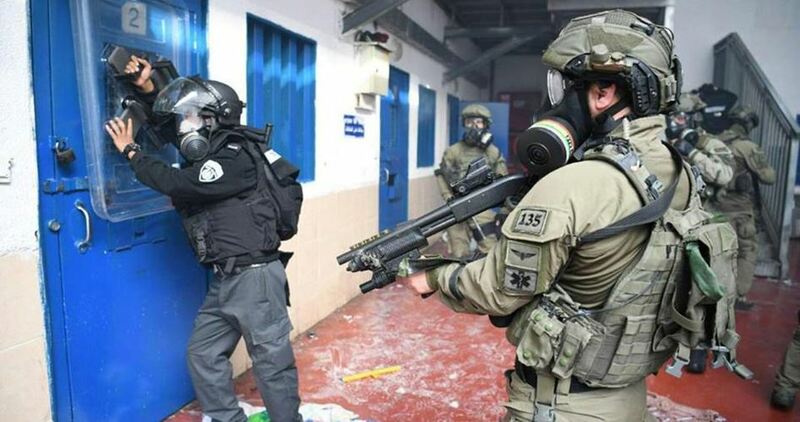 A Palestinian political prisoner at the Ramon Israeli prison was forced into solitary confinement, on Wednesday at night, when he threw boiling water at a soldier after the guards attacked many detainees. 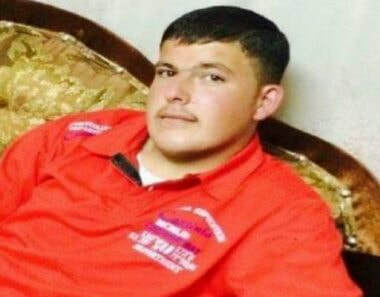 The detainee, Malek Ahmad Hamed, 23, from Silwad town, northeast of the central West Bank city of Ramallah, was attacked by several soldiers before he was placed in solitary confinement. The Palestinian Prisoners’ Society (PPS) has reported that Hamed had an argument with one of the soldiers, before throwing a pot with boiling water at him, after the detainees received the news of the death of Fares Baroud, a political prisoner from Gaza, who died after being denied the needed specialized medical treatment. The PPS stated that Hamed was residing in the same room with Baroud and several other detainees, before Baroud was moved to Soroka Israeli medical center, where he died shortly after being transferred from prison. It added that Baroud, who died after being held by Israel for 28 years, was subject to medical neglect, in addition to numerous violations, including being held in solitary confinement for several years. The PPS held Israel fully responsible for the live of Hamed, and all detainees in its prisons, detention and interrogation center, especially since they are subject to constant violations. It stated that protests, and confrontations between the detainees and the soldiers, are a natural outcome of these serious violations. It is worth mentioning that Hamed was taken prisoner in April of 2017 and was sentenced to two life terms and a 280.000 Shekels fine, while the army also demolished his family’s home, after accusing him of killing one soldier in a car ramming attack near Ofra illegal colony, which was built on Palestinian lands in Ramallah governorate. A Palestinian prisoner affiliated with Hamas reportedly attacked on Wednesday an Israeli soldier in Ramon jail with hot water. The Hebrew website, 0404, said that a Hamas prisoner poured hot water on an Israeli jailer as he was walking near his cell in Ramon prison in protest at the death of prisoner Fares Baroud, who had been exposed to medical neglect. The deceased prisoner, Baroud, was the cellmate of this Hamas prisoner, according to 0404. Consequently, prison soldiers stormed the cell and transferred the Hamas prisoner to solitary confinement. They also assaulted other prisoners in all sections of the Ramon jail. The Israeli occupation forces (IOF) on Wednesday evening kidnapped a Palestinian citizen in al-Khalil and set up makeshift checkpoints in other areas of the West Bank. According to local sources, Israeli soldiers kidnapped Imad Abu Samra, from Yatta city, and appropriated his car and money he was carrying with him. In a separate incident, the IOF set up a checkpoint at the junction of Beit Einun, north of al-Khalil, and embarked on intercepting and searching passing vehicles. The IOF also intensified its presence and deployed several road barriers in different areas of southern Jenin, where soldiers stopped cars and interrogated passengers. 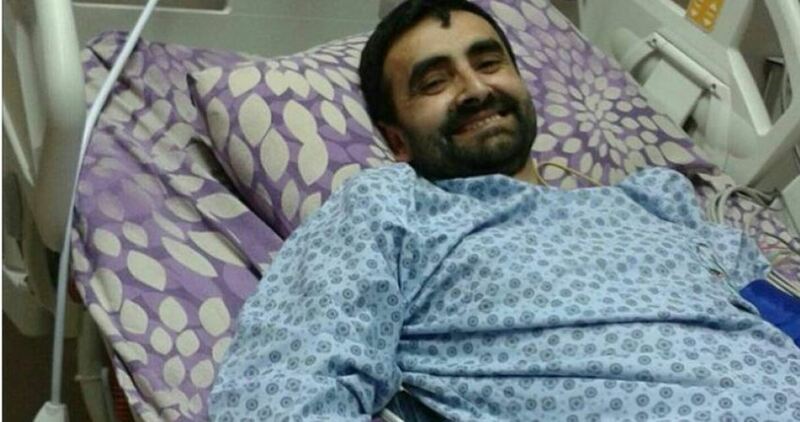 Alarm bells have been sounded over the deteriorating health condition of cancer-stricken Palestinian prisoner Bassam al-Sayeh in the Israeli Gilboa jail. “Bassam’s health status has taken a serious turn for the worse”, said his wife Mona, who was recently banned by the Israeli occupation authorities from visiting her husband. Speaking with AlHurria News, Mona said her husband has been held in the Gilboa prison, where he has been subjected to mistreatment and daily crackdowns by the Israeli prison authorities over allegations that he was holding a cell phone. Mona said she has failed to reach out to her husband, whom she said updated her, through a phone call, that he “was extremely exhausted”. Sayeh’s family last visited him on January 16, 2019 to keep tabs on his health condition. Aged 44, Bassam has been locked up at the Gilboa prison, after he was transferred from the Ramla jail. He has reportedly been subjected to abject conditions of captivity. Bassam has been diagnosed with osteosarcoma and blood cancer, along with critical infections in his lung and cardiovascular disorders. He has been held without trial in Israeli prisons for the third consecutive year. The military prosecution demanded that he be sentenced to two life-terms and 30 years in prison over charges of involvement in the Itamar anti-occupation attack of 2015, which led to the death of two settlers residing in illegal settlement outposts built on occupied Palestinian land. Palestinian prisoners declared a state of alert in Israeli jails following the death of Fares Baroud, the longest-serving Palestinian prisoner from the Gaza Strip in Israeli jails. The Palestinian Prisoners Society (PPS) announced that Palestinian prisoners languishing in Israeli jails had declared a “state of alert” after Baroud’s martyrdom. The mobilization saw Palestinian inmates shutting the doors of their jail cells, refusing meals, banging on prison walls and shouting anti-Israel slogans, according to the PPS. He was subject to medical neglect by the Israeli prison authorities despite repeated warnings that his health was deteriorating. A Palestinian citizen was arrested by Israeli occupation forces on Wednesday after he was violently assaulted by Israeli settlers in the northern Jordan Valley. Israelis residing in a settlement outpost built on Palestinian land in the northern Jordan Valley attacked Palestinian shepherds in the presence of Israeli soldiers. Local activist Mootaz Besharat said Palestinian citizen Ahmad Daraghmeh was arrested by Israeli forces in the area. Human rights institutions have warned that such crackdowns make part of an Israeli scheme aiming to force Palestinians out of the area in favor of illegal settlement expansion. The Palestinian Detainees and Ex-Detainee Committee has reported that Israeli military courts have imposed more than 60.000 Shekels in fines on Palestinian children who were abducted by the soldiers and held in Ofer Israeli prison. In its report, the committee stated that 57 children were moved to Ofer in January; 39 of them were taken prisoner from their homes during dawn invasions by the soldiers, in several parts of the occupied West Bank, including Jerusalem. It added that ten children were abducted while walking in their towns and neighborhoods, and three others were taken prisoner at several military roadblocks, in addition to five children who were summoned for interrogation at military bases and were taken prisoner. One of the detained children was shot and injured by the soldiers before he was abducted, and at least seventeen of the abducted children were subject to assaults and torture during their arrest or while under interrogation. Furthermore, Israeli courts imposed prison terms on 28 of the detained children, and ordered one of them, identified as Laith Abu Kharma, 17, under Administrative Detention, without charges or trial. Israel is currently holding captive 128 Palestinian children in Ofer prison, facing very difficult living conditions, and deprived from their basic rights, guaranteed under International Law and the Fourth Geneva Convention. 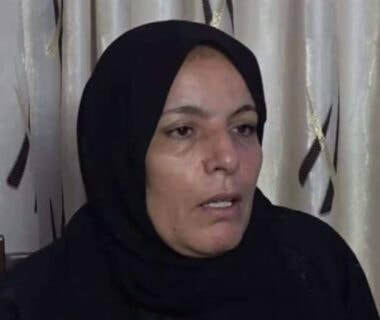 The Palestinian Detainees’ Committee has reported, Monday, that the Israeli military court in Ofer prison, near Ramallah in the central part of the occupied West Bank, has denied an appeal for the release of Wafa’ Mahdawi, 54, the mother of slain Palestinian, Ashraf Na’alwa, and her other son, Amjad Na’alwa. 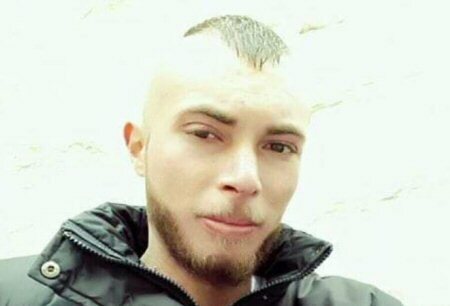 It is worth mentioning that the Israeli army carried out, on December 13, 2018, a large military offensive into Askar refugee camp, in Nablus, and killed Ashraf, after seeking his capture or death for two months. Ashraf is believed to be behind the fatal shooting, which was carried out on October 7th, into Barkan illegal colony, near Ariel, which was built on Palestinian lands in Salfit, killing two Israel settlers, identified as Ziv Hagbi, 35, and Kim Levengrond Yehezkel, 28, and wounding another one, before fleeing the area. It is worth mentioning that the soldiers frequently abducted, detained and interrogated many members of Na’alwa family, and demolished the family home on December 17th, 2018, as an act of collective punishment. Palestinian prisoner Walid Khaled Sharaf, 25, from Abu Dis in occupied Jerusalem, is suffering from serious illness in Ramle prison clinic. Sharaf is jailed without charge or trial under administrative detention; the order against him was renewed for another six months on 4 February on the basis of so-called “secret evidence” despite his deteriorating health condition. He has been jailed without charge or trial since 10 June 2018 and has spent nearly five years in Israeli prison over multiple detention periods. Sharaf is suffering from kidney, liver and intestinal disease as well as a skin disorder. His condition has worsened significantly and he was transferred from Ofer prison to the Ramle prison clinic, notorious for its neglect and mistreatment of ill Palestinian prisoners. Samidoun Palestinian Prisoner Solidarity Network emphasizes that the Israeli occupation holds full responsibility for the life and health of Walid Khaled Sharaf, imprisoned without charge or trial and facing a severe health crisis. Sick Palestinian prisoners are facing daily mistreatment, neglect and abuse conducted by the Israel Prison Service and the occupation security agencies. Sharaf is one of approximately 500 Palestinians jailed without charge or trial under administrative detention. These orders are issued for up to six months at a time and are indefinitely renewable; Palestinians have spent years at a time jailed under administrative detention orders. This policy is frequently used to target student leaders, community organizers and other prominent Palestinians, such as members of the Palestinian Legislative Council like Khalida Jarrar. There are 15 Palestinian prisoners held at the Ramle prison clinic with the most serious health conditions and 140 more with severe, life-threatening conditions. Twenty-one prisoners have cancer and 34 have some form of serious disability that prevents them from performing daily tasks. Israeli prisons are not accessible for prisoners with disabilities, who require assistance from other prisoners for basic needs. Another Palestinian jailed without charge or trial, Moataz Obeidu, requires the assistance of his fellow prisoners to move, uses a colostomy bag and needs help with personal needs. Despite needing treatment outside the prison walls, he is facing a four-month extension of his administrative detention. Israa Jaabis is one of several women prisoners suffering from severe health problems. A cooking gas cylinder she was carrying caught on fire inside her car at an Israeli checkpoint, and Jaabis was forced to remain inside her car in the blaze. She suffered burns over 60 percent of her body, eight of her fingers were amputated and she suffered severe damage to her arms, ears, nose and face. She requires assistance with basic daily activities like eating, bathroom usage and changing clothes. Despite her severe health condition, Jaabis, a mother and social worker was sentenced to 11 years in Israeli prison, where she continues to require critical surgeries and depends on fellow prisoners for support. Samidoun urges all international supporters of Palestine to join the call to free Walid Sharaf and all sick prisoners from Israeli occupation prisons. Their health is facing further deterioration and their lives are at risk due to the ongoing practices of the Israeli state. For Arabic and Spanish translations, and action info, please visit Samidoun. 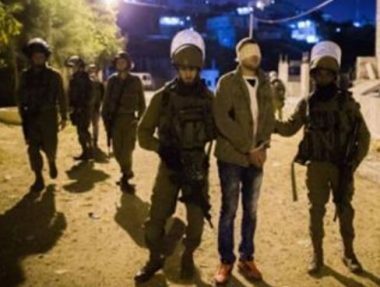 The Israeli occupation forces at dawn Wednesday arrested 10 Palestinian citizens during large-scale sweeps in the West Bank. 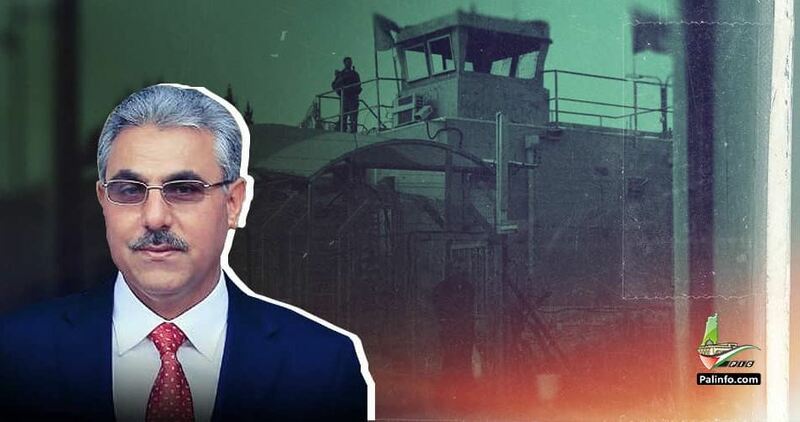 Local sources told the PIC reporter that the Israeli forces arrested MP Ibrahim Dahbour after raiding and searching his home in Arraba town in Jenin. Dahbour had spent over 8 years in Israeli jails, and is newly released following months of administrative detention. The Israeli forces stormed Beit Ummar town in al-Khalil and arrested Zaid al-Allami, 18, and Omar al-Sulaibi, 24. Local residents said that the Israeli forces raided several Palestinian homes in Qaffin town in Tulkarem and wreaked havoc on them. Meanwhile in Bethlehem, the Israeli forces kidnapped Ahmad Kattana from his home, and handed Mujahed Ali al-Sheikh and Bahaa Salah summonses to appear before the Israeli Intelligence Service for interrogation. The Israeli occupation forces further stormed Balata refugee camp in Nablus and arrested Khabib Salman, 23, from his family home. The Israeli occupation army announced that two Palestinians were arrested on Tuesday evening on the eastern border of the Gaza Strip. 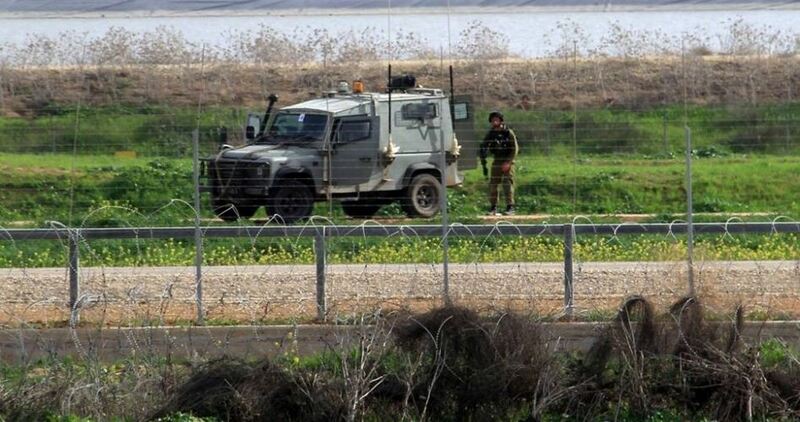 A spokesman for the Israeli army said that two Palestinians were arrested while attempting to cross the border fence between the Gaza Strip and the Palestinian territories occupied since 1948. No weapons were found in the possession of the detainees who were taken for interrogation, he added.